Students at CPA High School receive a world-class college-preparatory education within a small, supportive and value-rich environment. English, Mathematics, Science and Social Studies instruction is supplemented by a wide range of elective classes in academic content areas, visual arts, drama, music, physical education, technology and Spanish. Peace and Ethics instruction is offered daily during a 45-minute Advisory period. College readiness is a hallmark of our secondary program. 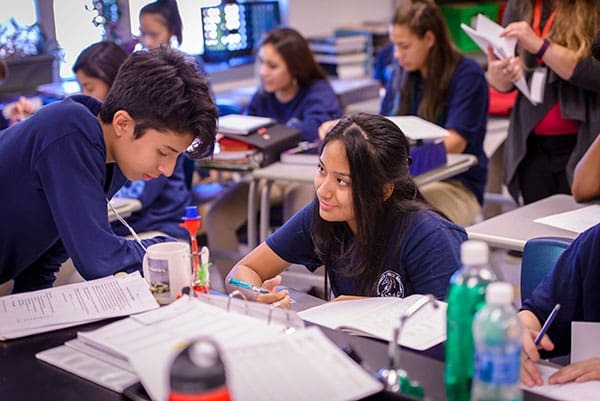 Students receive highly supportive guidance in the college application and selection process, are afforded exceptional opportunity to earn college credit through one of seven College in the Schools classes offered at CPA High School in collaboration with the University of Minnesota, or through Post-Secondary Enrollment Options. CPA High School boasts one of the strongest 4-year graduation and college acceptance rates in the state of Minnesota. Because we are preparing our students for success in an interconnected 21st century global community, state of the art technology enhances teaching and learning. Classrooms are SMARTBoard equipped, and students have access to iPads, laptops, netbooks and other technologies in the classroom, in addition to a state of the art computer lab. At CPA High School, relationships are prioritized. Teachers know all of the students, and students know one another. In this intimate learning community, students are personally challenged, are more engaged in their studies, and are more likely to participate in extracurricular activities. 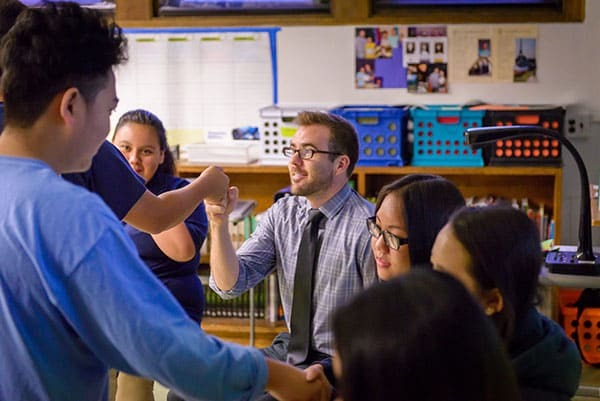 The personal connection afforded each student leads to increased achievement and strong individual growth and development.